The Striped box by ferm Living is a small box made of cardboard that helps organise items on the desk or at the workplace. 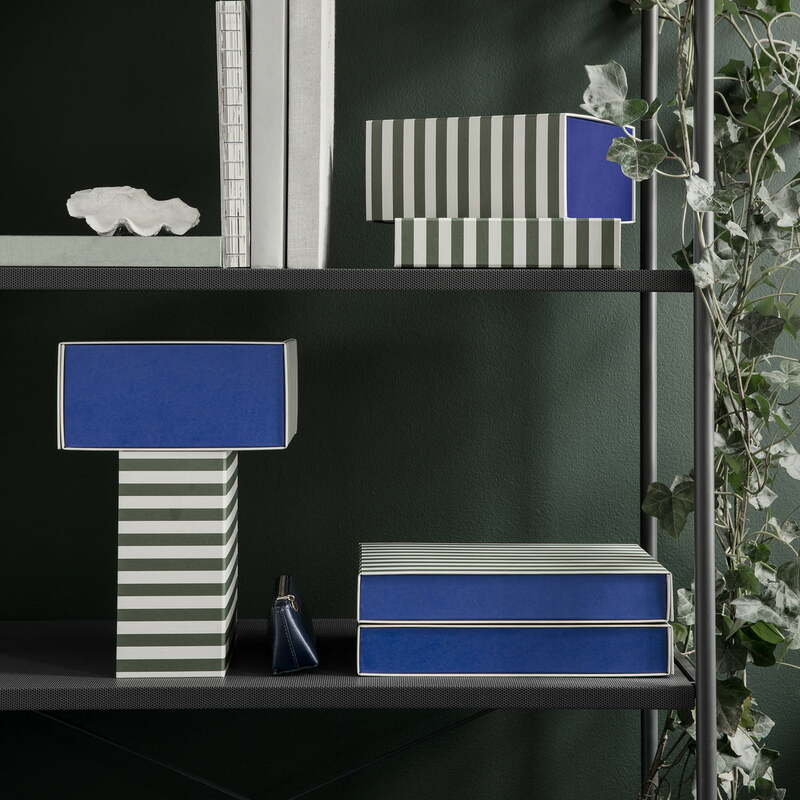 The stripes in coordinated colours give the box an additional decorative function. Safely kept in the box, the objects are held by the magnet on the lid. 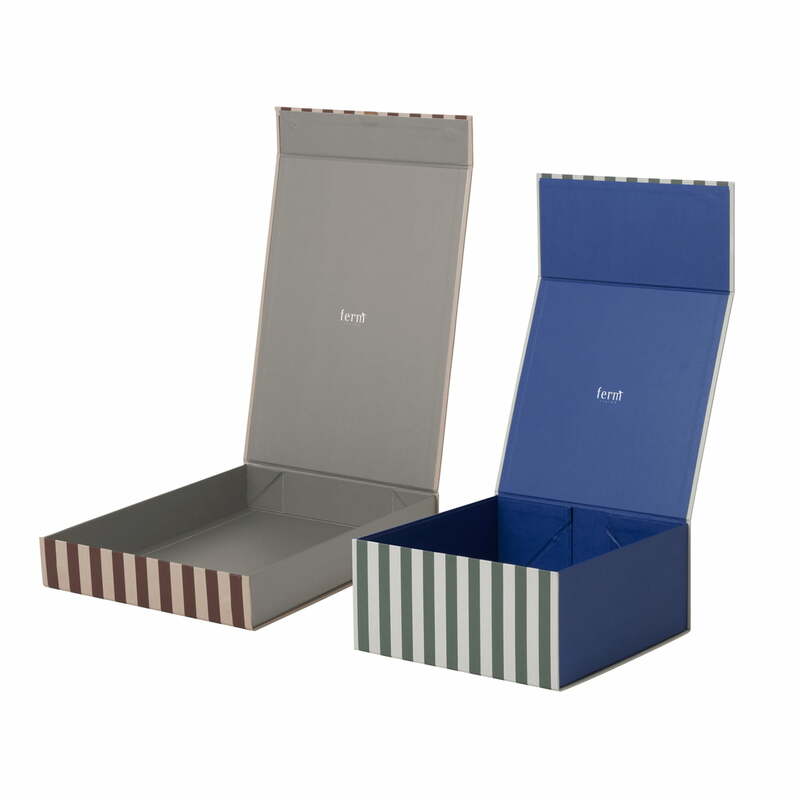 The box with a decorative stripe pattern is available in various shapes and colours and looks particularly stylish in the office, kitchen, children’s bedroom or on the desk. Several boxes combined turn into an eye-catcher on the shelf and offer plenty of space for personal belongings. 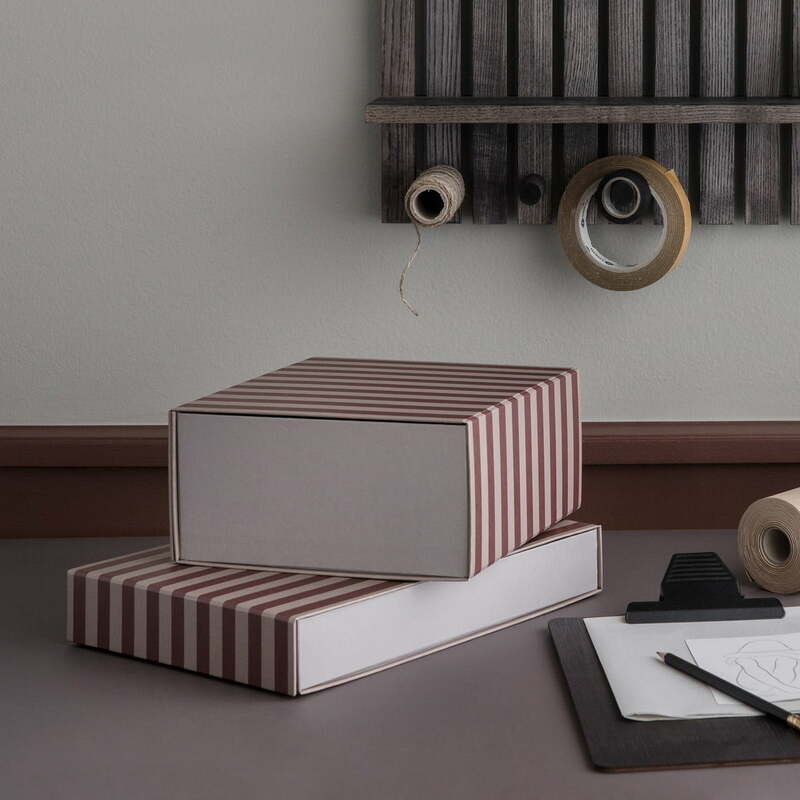 Isolated product image of the Striped Box by ferm Living: The Striped box is a small box made of cardboard that helps organise items on the desk or at the workplace. 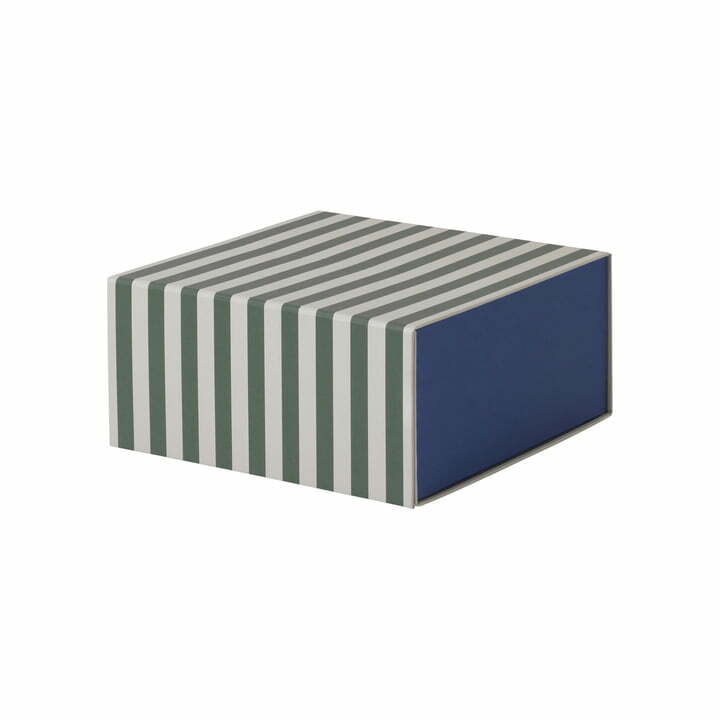 The box with a decorative stripe pattern is available in various shapes and colours and looks particularly good in the office, kitchen, children’s bedroom or on the desk. Several rectangular and square striped boxes by ferm living combined is a great eye-catcher on the wall shelf and offers plenty of space for personal belongings.